Haynes Amadeus AF700 Flute with a Sterling Silver Haynes Classic Handcut Headjoint, Sterling Silver Body, Open Holes, Inline G and B foot with Gizmo Key. 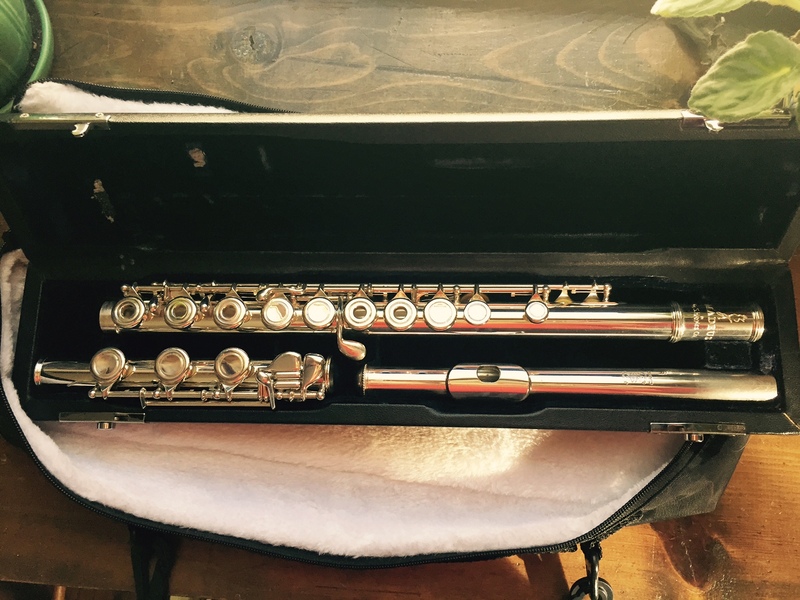 A lovely flute with a beautiful sweet sound! The handcut headjoint designed by Haynes provides a smooth and even tone from top to bottom. 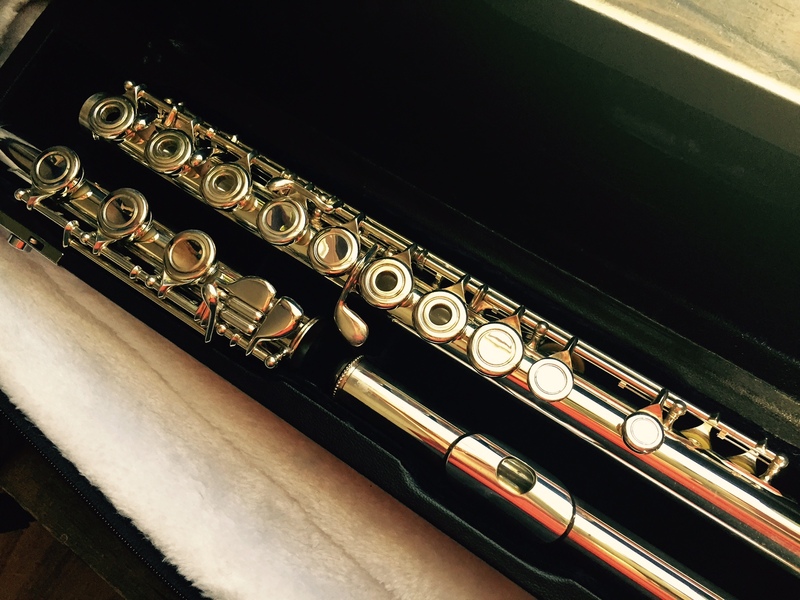 Additionally, this flute has a nice light action.
" The passion and craftsmanship that has been associated with Wm. 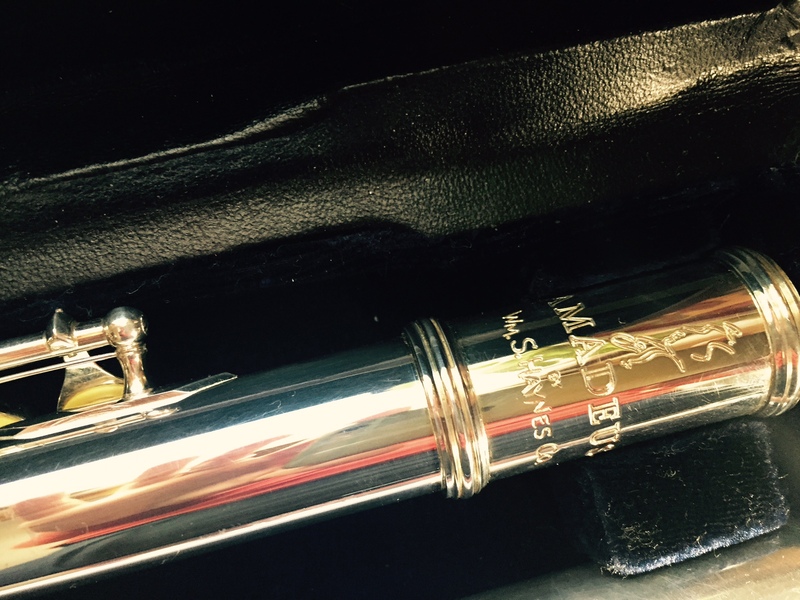 S. Haynes flutes since 1888 emanates through every Amadeus flute. The master flutemakers design and work on each flute before it leaves the Boston workshop. Each flute is set-up by a professional at the Boston Haynes Shop right before it is shipped, ensuring the pads are sealed evenly and the mechanism feels crisp. 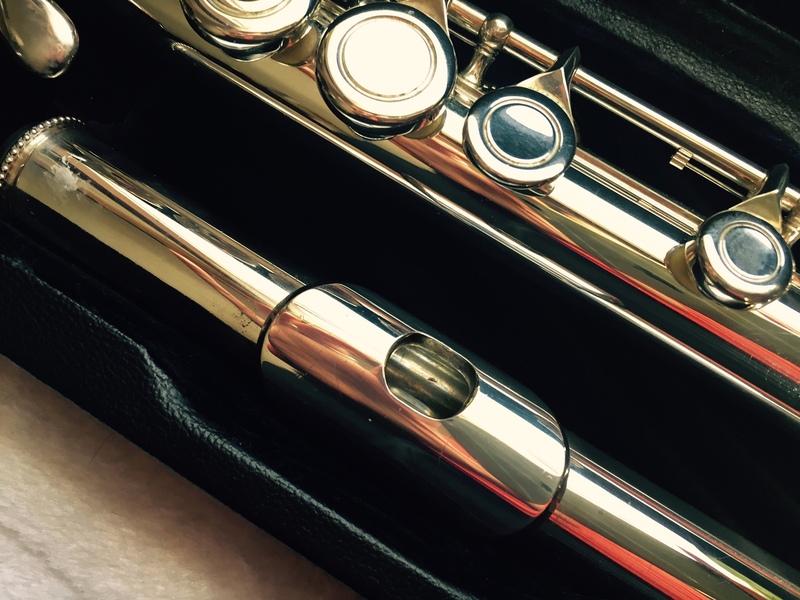 For decades, discerning flutists have chosen Haynes for "that sound" - a beautiful core with rich colors. Continuing that tradition, Amadeus flutes come standard with a professional Haynes Classic handcut headjoint. The heart of the flute is trusted to the same master headjoint maker who handcuts all Haynes professional headjoints. The Classic headjoint allows you to explore a wide range of tone colors with depth and agility." 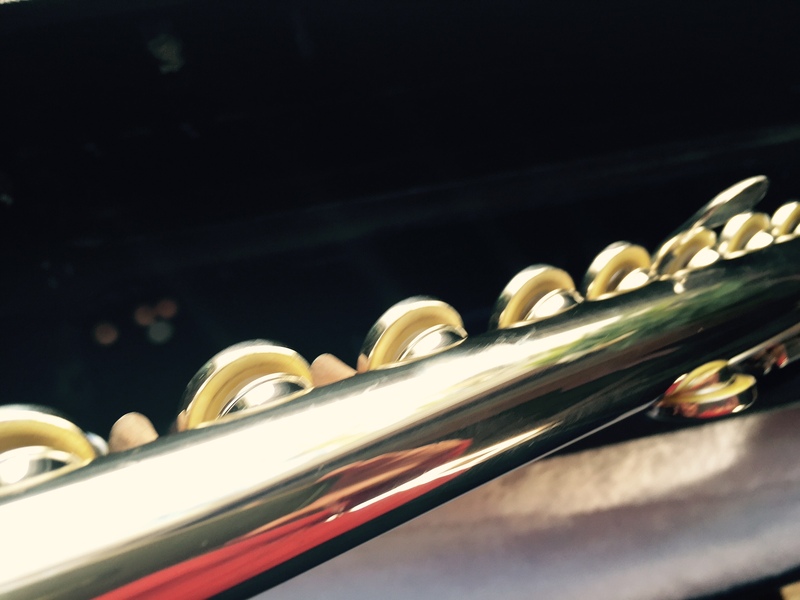 This particular flute shows light wear from normal use (ie small scratches/surface wear), but is ding/dent free. Comes with vinyl outer case, French slim-line inner case and hole plugs. 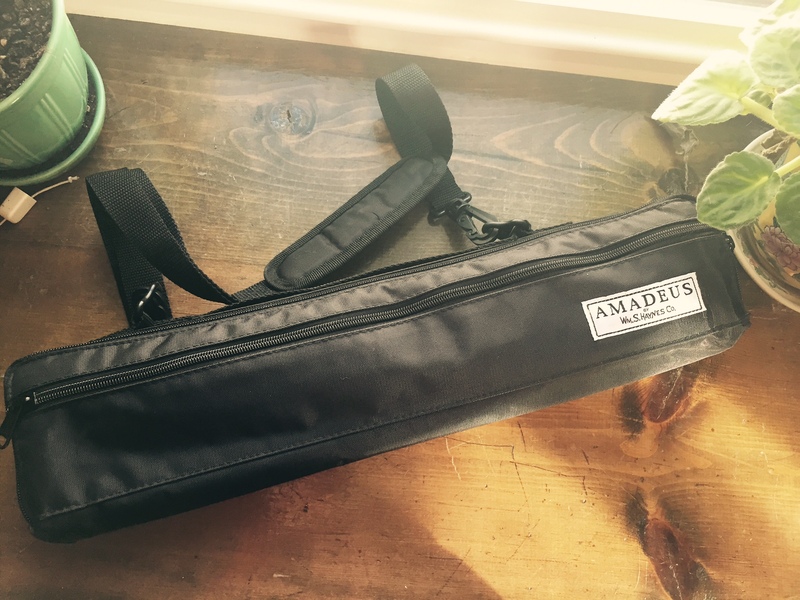 Online Buyers: I accept payment via PayPal only and will ship this flute USPS Priority for an additional $35 to locations within the continental US. 7% sales tax will be added for items shipped to NJ locations. I will accept returns within 7 days of purchase for US sales with instrument returned in the same condition it was sold in. Buyer pays shipping. Please contact me for international shipping rates. No returns will be accepted on international sales.